Happy New Year..or see ya, 08! 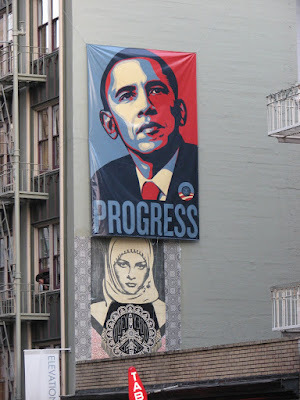 I thought today would be appropriate to thank 2008 for being a year of happenings. Here are just a few shots of the many things I will remember this year for, with a special thank you to everyone that helped make it all happen. Many good wishes and happy thoughts for the coming year..2009 will be just fine! Starting the year off with a little SF action..lobby at Hotel Tomo following the Frog Brigade show at the Fillmore. 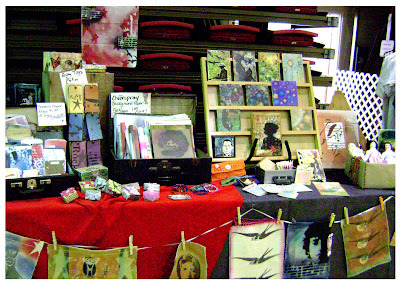 A shot of my table at the PCM's inaugural craft show, Craftaluma! 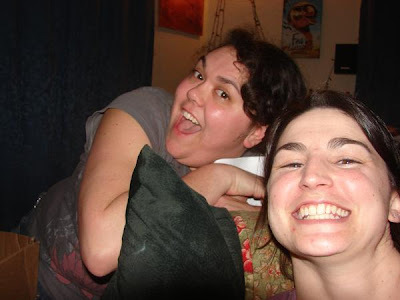 My girl Mandy and her fam headed back to the east coast in February..tears. I miss the Heck out of them!! 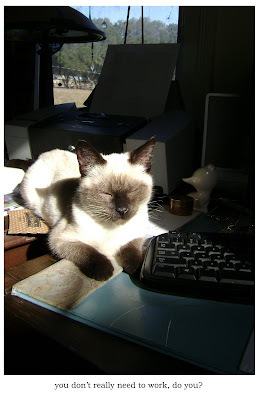 We also lost Zoe this year...one reason our two new kitties are indoor cats. 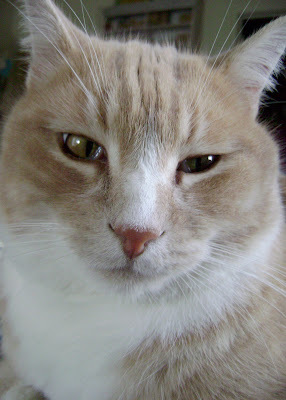 We miss this little cantankerous cat everyday! 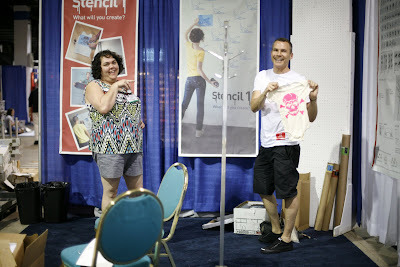 a candid of my first in person meeting with Ed from Stencil 1..this was at CHA Summer in Chicago..
same cha..meeting Jen Perkins..she's a doll!! 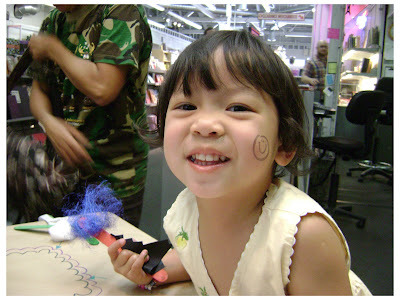 came back from CHA to do a kidsfest at Flax, in San Francisco, look at those cute little stamping dimples! 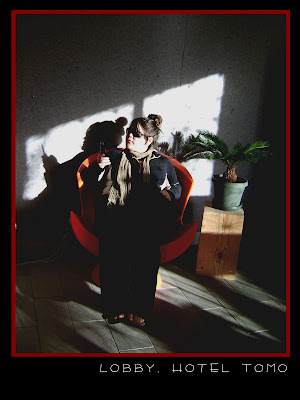 My run in the city continued with a room at the Hotel Des Arts for New Art 08..need a cheap place to stay in the city? This hotel is soooo arty! 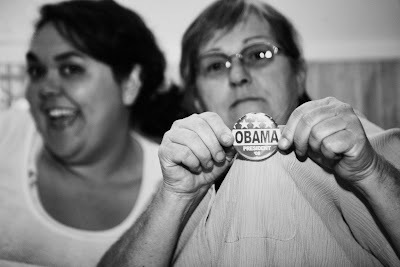 Mom and I at the Obamathon...Yes we did! 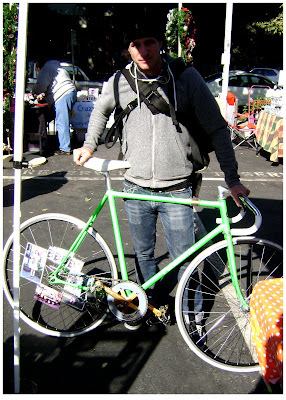 A happy spokecard customer at the Sacramento Craft Mafia's Craftoberfest! My love and I enjoying some Gabby La La at the Holiday Craftacular! 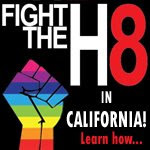 a friendly reminder..let's fight the H8 in 2009!! Happy Holidays and Holy Cow! 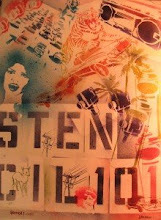 You must check out the Stencil 1 Blog..leave a comment on the newest post, about how you would put Stencil 101 to use, and you may just win an autographed copy!! 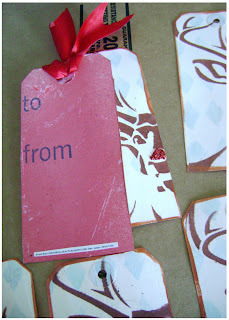 Contest ends January 21st..How Would you use this book?? 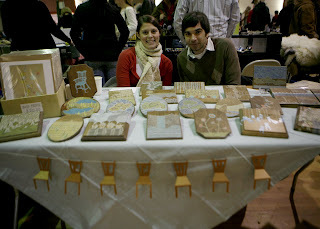 Here are a few pictures from the Holiday Craftacular 08! Thank you Jen! 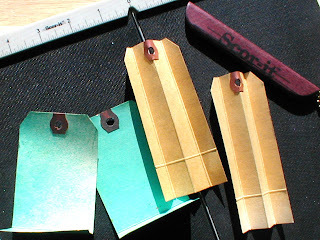 I've posted more on http://rocknrollcrafts.blogspot.com/. Jen and I had the opportunity yesterday to spend the day in SF with Ed..we had a great time! 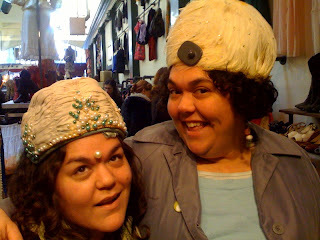 Love all of the second hand clothing shops..I'm a hat freak. They never fit me right, but I always have to do runway when I see the rack! 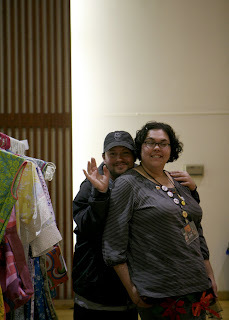 Ed got his cam out and got this pic of us in our favs from Wasteland. and..if you're wondering where I've been. Oy. 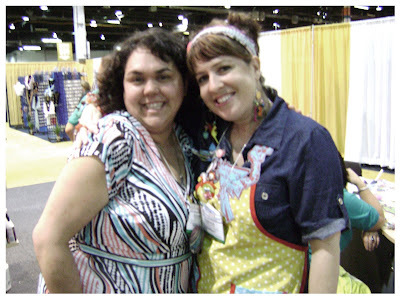 So the craftacular was awesome! We had a great time, sold some stuff and listened to some great music. Had an email on sunday that my full time job, and salary, are getting cut to part time. Panic. So the econ "crisis" hits home and I'm evaluating. 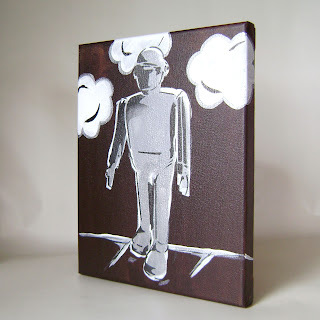 Do I keep hustling and arting to make my living? Should I get a real job to pay my bills and just art in my spare time? Right at this moment I feel like I have a choice.. 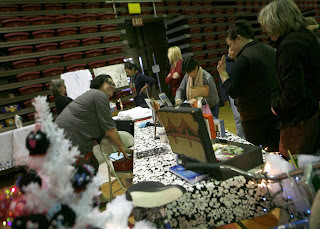 So, the Holiday Craftacular was a huge success..lots of people, crafts and fun! plus a little bit of caffiene and sugar. Perfect day! 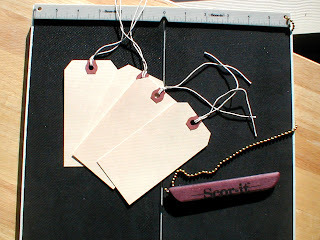 I have many stories, pictures and crafts to share..and as soon as I get some of the fantastic pictures back from Jen..they will be here for you to peruse! For now, a little feline reminder from Lucky! Two days to go...the heat is on! 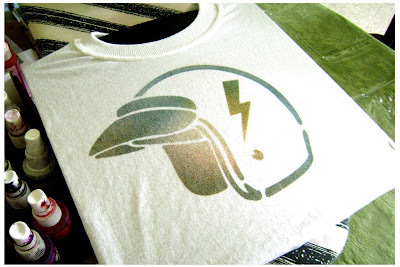 Today's spotlight is on Etsy. For those of you not familiar with this most awesome site..well, it's just about one of the greatest places online. 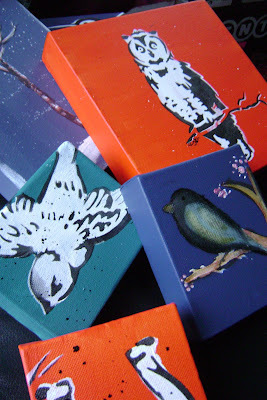 This site features artwork from crafters all over the world..ranging from those promoting their full time business's to those who just like to make stuff and try to sell it. 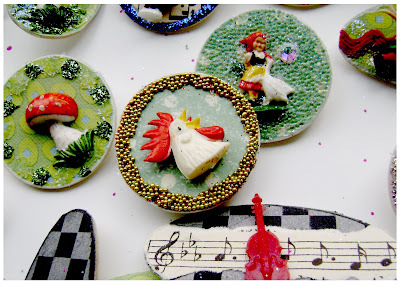 A lot of the vendors at the Petaluma Holiday Craftacular, peddle their wares on etsy. Be sure to check them out even after the show!! You'd think I'd be freaking out a little bit..just a bit. But I'm feeling pretty good. I was going through my 'stock' yesterday with the sis..and man, do I have a lot to bring! 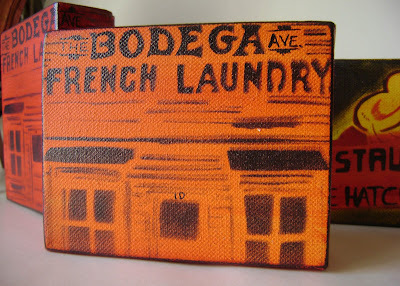 Paintings, t-shirts, jewelry, greeting cards, magnets, spokecards...oy. 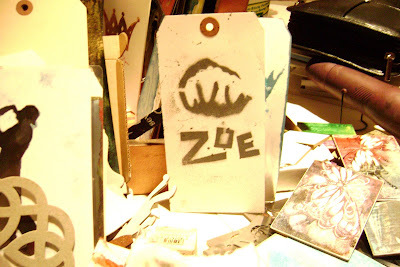 Plus all the stencils, paints and sprays. I think we'll have a good day. 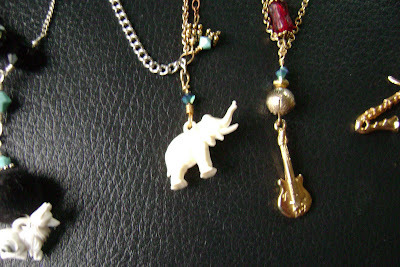 These are a couple of the new jewlery pieces I've been working on. Love combing metals, chains and german minis!! 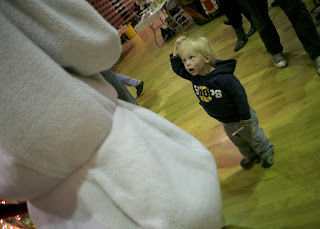 remember....December 13th 11-5, Holiday Craftacular!! 1 day less than a week to go! One week and counting...til the Holiday Crafactular! 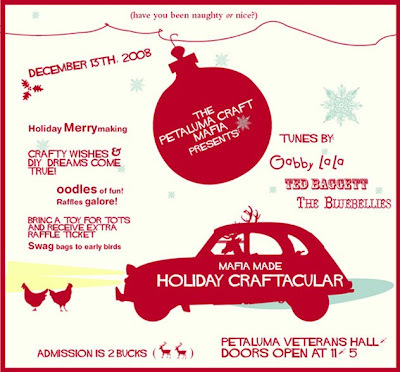 So, one week from today and the Petaluma Craft Mafia Holiday Craftacular will be here! Hooray!! 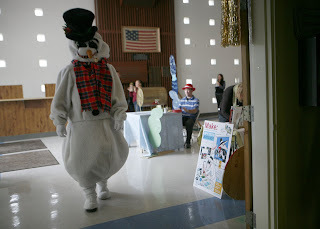 There is so much going on..we have over fifty vendors, and counting! Three bands, treats and decorations..it's sure to be a blast! 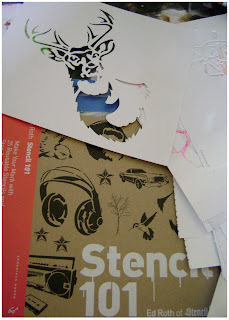 Today, I want to give a shout out to one of my favorite sponsors..Stencil 1. 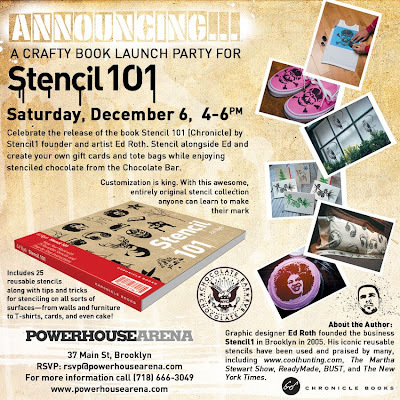 As I type, Ed is stenciling away at his book release party in Brooklyn. If you live close enough to go..then I'm jealous..but Go! 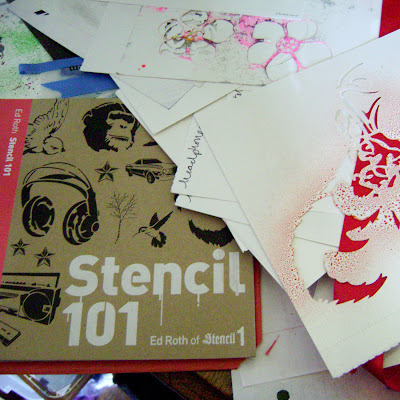 You can pick up a copy of Stencil 101, make your own cool stencil art and meet the man himself, stencil guru..Ed Roth! Can't beat that. 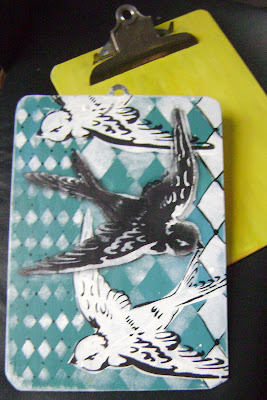 Now, if you're more local to my hometown..you can pick up some of his stencils and goodies at the Craftacular. 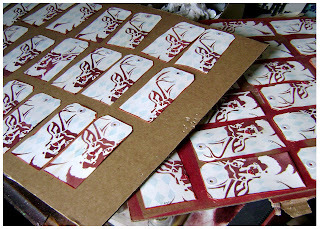 I'll have some of his line for sale, plus we have a bunch of Stencil 1 raffle prizes! 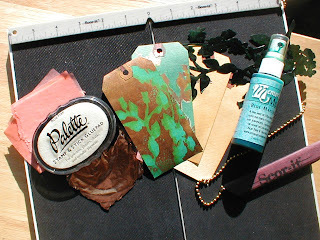 Well, I better get back to my craftin'..
Today's spotlight is on a local Petaluma restaurant, Velasco's. They make the best Mexican food in town! Love 'em! Quite generously, Velasco's has donated a gift certificate for our raffle..dinner for two! ;) With the price of admission, you'll get one free ticket..and you can buy as many as you like for only a dollar a piece! 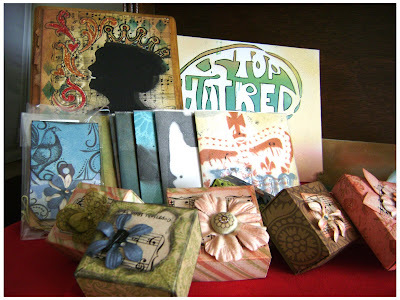 We have other raffle prizes from Chronicle Books, Stencil 1, Rusty Pickle, Petaluma Art & Earth..plus many more from the show vendors themselves..and even moi!! See you there! Nine days to go, and a quiet hush can be heard over the hills of Petaluma, as preperations start to hit their final stages. 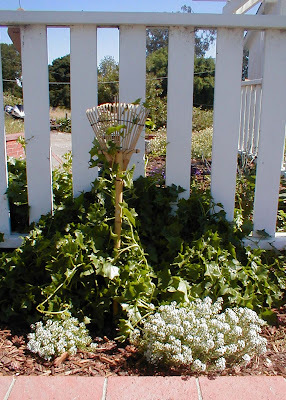 I have just a few more days before I hit, 'Well, ready or not...here I come"..:) Today's spotlight is on another vendor from the show, located in beautiful Sonoma County, Pink Persimmon. 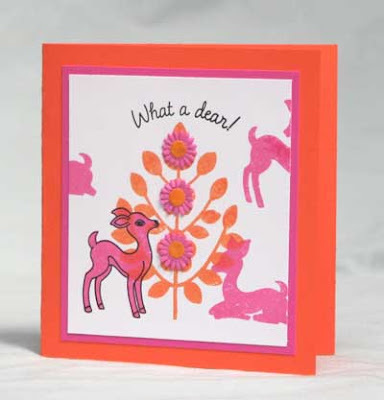 Top Ten Days till Craftacular-ness! 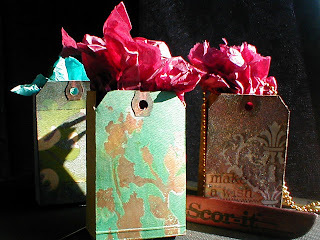 Goodie goodie bags..to the first 50 attendees at the impending Craftacular! These little goodies from Martin Meyers are just one of the many things included in the free handouts! 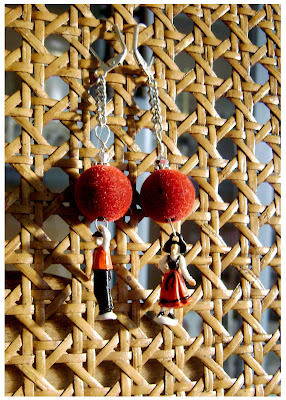 I just love these german minis..they are just great for cards, jewelry, collage..you name it. 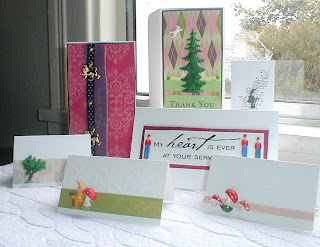 These are just a few of the projects that I've put together in the past using the flatback minis. To die for. 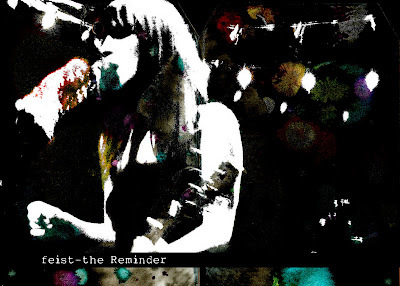 this is a little doodle I did after the last time my husband and I went to see her perform..
Oh boy oh boy..there are only 12 days left until the Petaluma Mafia Made Holiday Craftacular! Picture the after shave reaction from Home Alone..that's me! I thought I would highlight a different aspect of the show, on each of the last 12 days left..so today, from the archives, one of the many sponsors for our raffle. That's right, raffle. We've rounded up a bunch of raffle prizes, local goodies, crafting supplies, homemade crafties..the gamut of what the PCM has to offer.